INCLUDES - Order includes either a single or pair of goals, pegs, a spare parts kit, and a carrying bag. MAXIMAL PORTABILITY - Compact and lightweight design fits into a 32" x 40" carrying bag. EXTREMELY DURABLE - Goal measures 6 x 3.5 x 3.5 feet and works seamlessly on grass, sand, and turf fields. This goal may be used indoors as well but because it is lightweight, it is optimal for outdoor surfaces in order to anchor it down with the pegs. 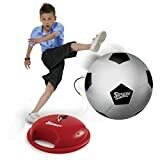 The 6-foot PUGG soccer goal was created for portability and functionality for the pickup games and soccer players who need it. Its integrated pegs provide stability for soft ground or turf surfaces. These goals set-up quickly and can be secured in natural surfaces with integrated anchoring pegs, so you're ready for games or drills. They collapse into a two inch, flat oval for easy storage. The set comes with two 6-foot PUGG goals, a carrying case, and spare parts kit. 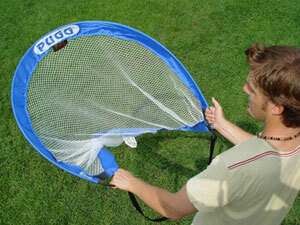 Help your child or adolescent hone his or her soccer skills with the Pugg portable soccer goal. 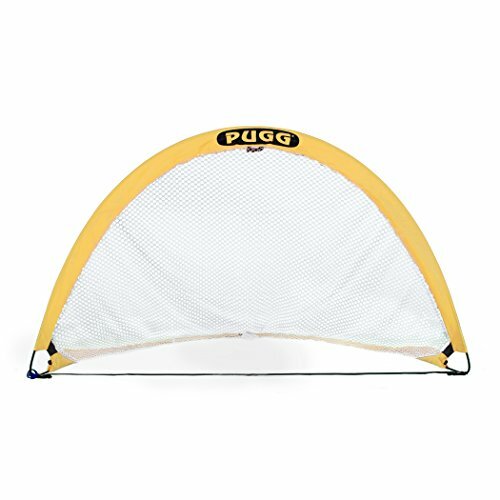 Available in 6-, 4-, and 2.5-foot sizes, Pugg training goals are ideal for clinics, backyard contests, and even organized games at the park. The 6 Footer goal is remarkably easy to set up: just hold on to the corners, and then twist the left corner counterclockwise while bringing the hands together. 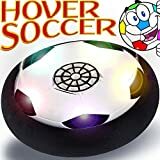 In mere seconds, you'll have a fully functional soccer goal, with anchoring pegs to help adhere it to the ground. 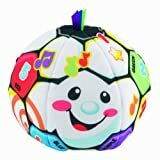 Even better, the goal collapses just as quickly into a flat oval that measures 1-inch thick, with a handy carrying bag for easy transport. As a result, you can vacate the practice field as soon as the weather turns, and without having to break down cumbersome multi-piece goal systems. The 6 Footer measures 6 by 3.5 by 3.5 feet (W x H x D) when installed and is safe for both kids and adults. It comes with one goal, one carrying bag, and anchoring pegs.